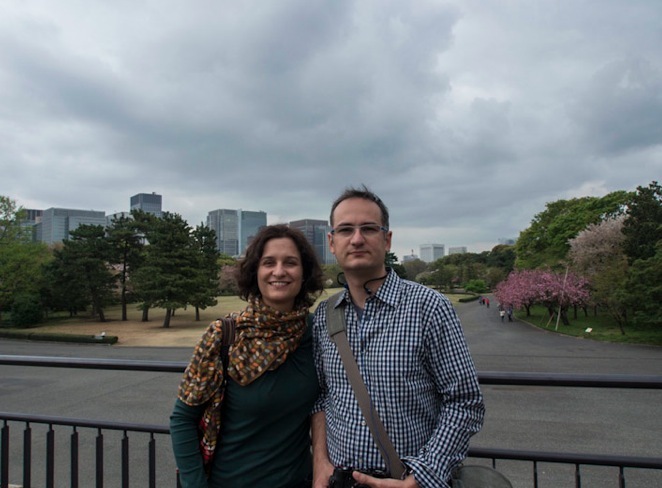 Finally, on our last day, we visited the Imperial Palace East Garden. We had already been here the day before, on a Friday, when the entrance was closed. So we had to come back the next day, a cloudy Saturday. But we still enjoyed the visit. 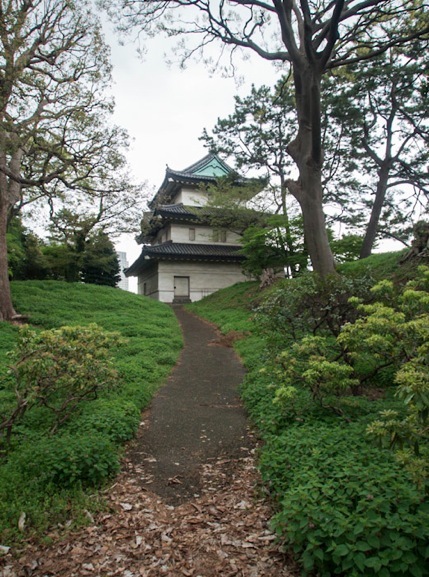 The entrance to the East Garden is the Ote-mon, once the main gate of Ieyasu Tokugawa’s castle. 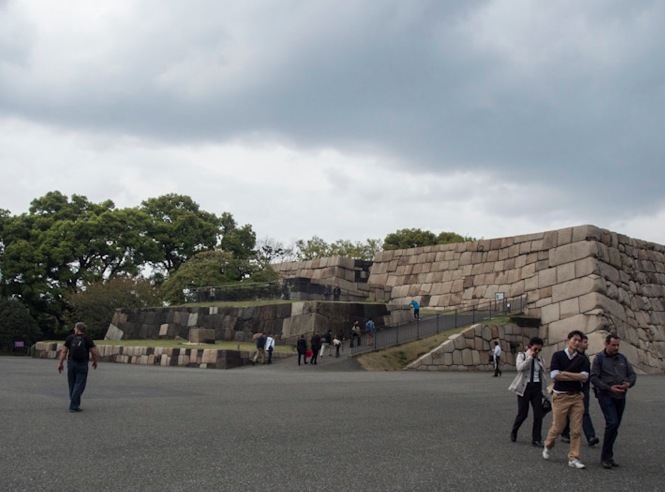 Not much is left over from the former Honmaru (main circle) and Ninomaru (secondary circle) areas of Edo Castle, just the moats, walls, entrance gates and several guardhouses still exist. 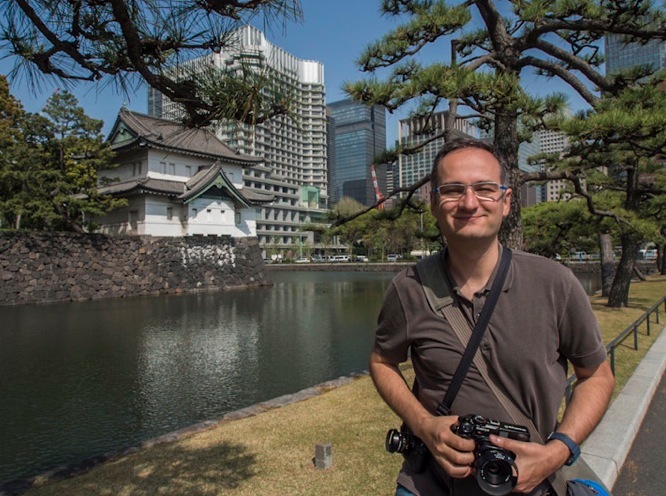 Edo Castle was the residence of the Tokugawa shogun who ruled Japan from 1603 to 1867. 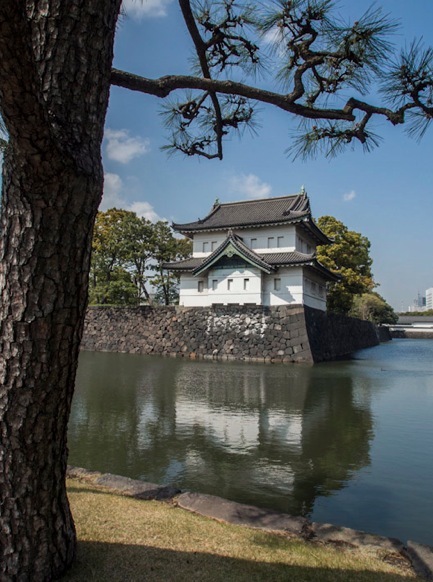 Emperor Meiji also resided there from 1868 to 1888 before moving to the newly constructed Imperial Palace. A wide lawn and the remaining foundation of the former castle tower can be found on top of the hill, where the castle’s innermost buildings once stood (the tower was destroyed in a fire in 1657 and never rebuilt). In place of the former buildings in the Ninomaru at the foot of the hill, a nice Japanese style garden has been created. 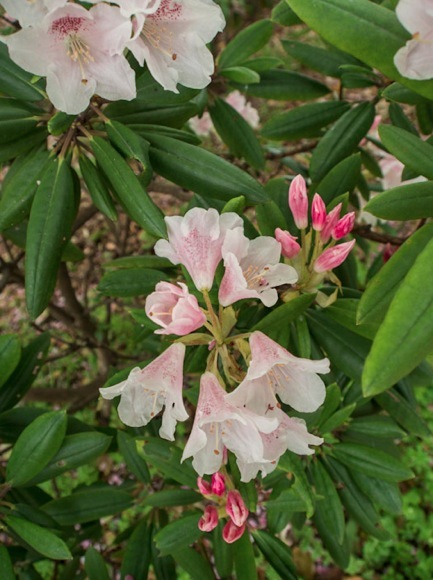 The garden itself is lush with dense vegetation, beautiful flowers and plants. Symbolic trees that represent each prefecture in Japan have been planted. The 210,000 square meter garden was completed in September 1968, and has been open to the public since 1 October of the same year, except when it is used for court functions. 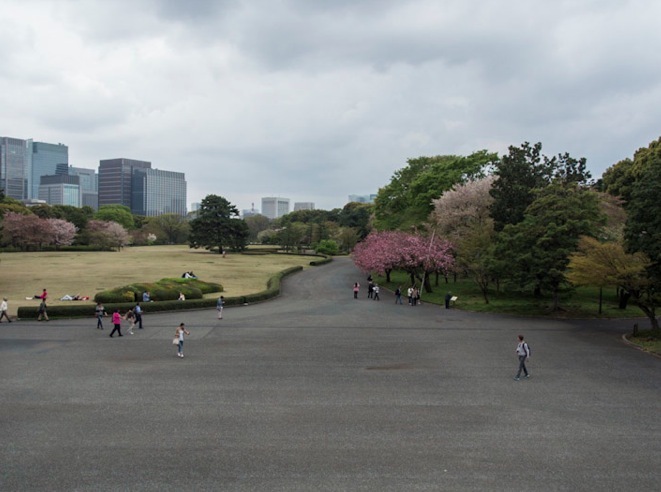 The Toukagakudo (Imperial Concert Hall) and Sannomaru Shozokan (Museum of the Imperial Collections), as well as buildings housing the Imperial Household Agency’s Music, Archives and Mausolea departments, are located within this garden.